Firearms and accessories consumers are not all the same. Business growth depends on understanding consumers’ evolving needs and why they would choose one product over another. 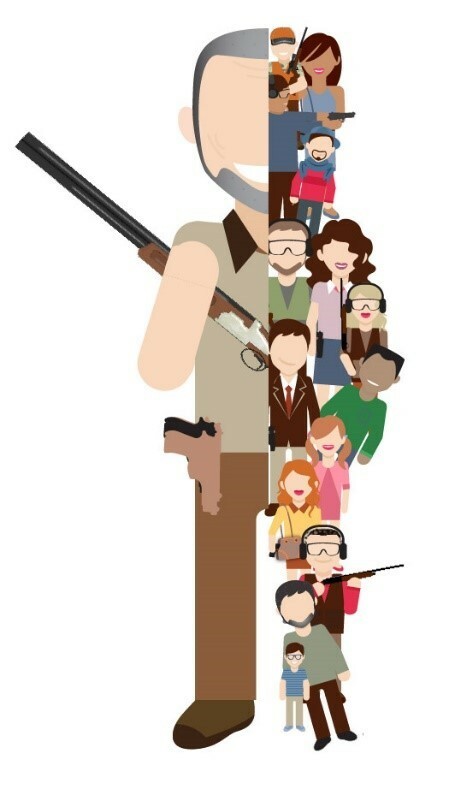 In conjunction with the National Shooting Sports Foundation (NSSF), Southwick Associates has produced the first-ever consumer segmentation study of U.S. firearms owners to help manufacturers and retailers understand them on a deeper level and identify new business opportunities. These consumers are separated into eight unique segments based on their shared motivations and product preferences – the true factors that drive their purchase decisions. • Motivations for hunting, shooting and firearms purchases. • Types of shooting activities pursued. • Detailed profiles for the unique protection-oriented segments. • Products & accessories purchased in the past 12 months. • Firearms they would like to buy in the next five years. • Most important factors driving purchasing decisions for each segment. • Shopping habits and annual amount spent. • Their path to purchase (i.e. media usage, pre-purchase research, etc.). The complete visual report is now available from Southwick Associates. Custom research is also available based on the proprietary database containing responses from more than 100,000 detailed consumer surveys. For more information, pricing and a list of the report’s contents, visit https://www.southwickassociates.com/commercial/firearms-consumer-segmentation/ or contact Nancy@SouthwickAssociates.com. Federal Firearms and Ammo Excise Taxes – How Much is Generated by Hunting-Related Sales? • As of 2015, firearms make up 57.4% of retail dollars generated from the sales of products that are taxable under the Wildlife Restoration program. Other taxable products include ammunition (32.3% of sales dollars) and archery products (10.3%). • Of firearms sales dollars, 20.2% can be assigned to hunting purposes and the remainder (79.8%) to non-hunting purposes. • Of ammunition sales dollars, 26.6% can be assigned to hunting purposes, and the remainder (73.4%) to non-hunting purposes. • For firearms and ammunition combined, 22.5% can be assigned to hunting purposes, and the remainder (77.5%) to non-hunting purposes. It was not possible to assess archery sales. Southwick Associates’ annual reports on the purchasing and activities of sportsmen have become essential resources for business leaders looking to guide their companies toward bigger profits in the outdoor industry. The latest reports, covering 2016 hunter, shooter and angler participation and purchasing activity, are a compilation of the data from a year’s worth of the bi-monthly surveys conducted on HunterSurvey.com, ShooterSurvey.com and AnglerSurvey.com. Besides the broad-level reports covering sportfishing and hunting-shooting, annual reports are also offered for bow-hunting, turkey hunting, waterfowl hunting, deer hunting, bass angling and more. The annual reports include such critical information as age, income and education demographics for these consumers, along with details on participation, the types of gear and equipment purchased, spending levels, where and when purchased and what brand. Firearms, optics, clothing, camouflage clothing, reloading equipment, game calls and trail cameras are just some of the product categories broken down in the Hunting and Shooting market report. Product categories covered in the Angler Trends report include rods, reels, tackle, line, lures, fly-fishing gear, ice fishing gear, fishing electronics, fishing apparel and a wide range of angling accessories. “We issue these reports each year, providing the industry with trend insights as well as profiling the specific market. Each report provides a unique look into a specific market. If you are in the deer market, or bowhunting trade, for example, there are no other sources available that deliver greater levels of detail,” says Rob Southwick, president of Southwick Associates, which designs and conducts the surveys at HunterSurvey.com, ShooterSurvey.com and AnglerSurvey.com. In recent years, the sportfishing industry has been resilient. During the Great Recession of 2008-2010, our industry fared better than many others. Economic shock caused many people to reconsider their consumption habits and to look for greater value and identify what was really important to them. At the same time, many of the national and state-level sportfishing promotion efforts started to mature and pay results. As a result, with extra time on their hands and greater encouragement to fish , many people went fishing. Licenses sales increased after long periods of decline. Though not all sectors in our industry fared equally well, our industry did better than many other parts of the U.S. economy. Now, here we sit nine years later since the start of the Great Recession. Unemployment is back to normal levels, interest rates are still historically low, and reports from the travel and tourism sector show people are heading out in record numbers, spending money and enjoying low fuel prices. With employment at low levels, employers are now starting to pay higher wages to find and keep good talent. People are using their extra money to buy new cars, build new houses, and this is a good thing, so goes common wisdom. But not so much for us. Now, we all want to see economic prosperity, especially when we look at our retirement funds, pension plans, savings and other investments. I’m in no way calling for slower economic growth. But, with all good things come trade-offs. For the sportfishing industry, considering a large proportion of our customers are in the trades – construction, for example – a heated economy means opportunity to earn more cash. Overtime hours are offered, and hourly workers and small business owners agree to work longer hours and weekends to win the extra business. God bless America! However, extra time spent at work means less time playing. So, as people work more, there’s less time to fish. We saw this prior to the Great Recession when the economy was superheated around 2004-2006. Low interest and no-questions-asked loans put many, many people to work. There weren’t enough people to fill all the jobs. 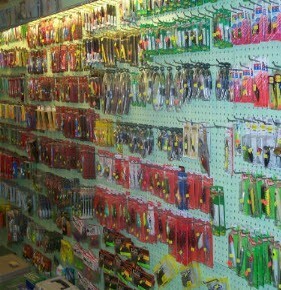 Fishing tackle sales didn’t grow as fast as other industries. In the statistics models we developed for companies and state agencies that identified factors driving product and fishing license sales, it was apparent that increases in blue-collar employment, logistics and similar sectors resulted in decreased fishing participation. And what do we see now in the U.S. economy? Healthy growth rates in these sectors, with new house sales reaching levels not seen in 10 years. Don’t panic! People still want to fish – and they will. And they have money. Sales should still see a steady climb and barring any unforeseen weather or human-caused shocks, we’re on track for steady growth in the near future. The double-edged sword of rising interest rates may ease employment crunches, allowing more of our core customers time to fish. Sales of higher-end products should fare better than other sectors, and boat sales should start to do better soon, meaning anglers will be equipping them with new gear and accessories. Its just that we might not see growth rates match those in the more volatile sectors like housing and luxury products, but when times are tough, this lower volatility is to our advantage. We can’t control interest rates, housing starts, workers’ hours, and so forth, but we can control the amount of marketing we do. Whether it’s your own business, or in partnership with state and national marketing efforts like the Recreational Boating and Fishing Foundation, be sure to remind people of the fun they had fishing. Encourage them to plan ahead, to make fishing plans before other activities grab their limited free time. Those who work for more sales will see more sales. If we work together to keep people fishing, there’s no reason our growth rates can’t match the housing market. 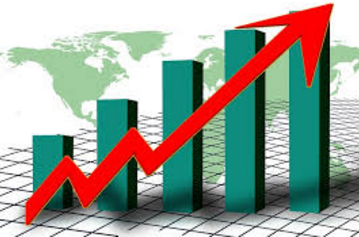 Be smart, employ intelligent business practice and the next several years should bring steady growth. Want to Learn More About the Shooting Sports Industry? Attend the NSSF Summit! The 2017 Industry Summit takes place June 5-7 in Austin, Texas, a creative and entertaining venue ideal for fostering the networking and idea exchange for which the NSSF Summit is best known. The NSSF projects another sell out, so reserve your place now. We look forward to seeing you there!